You’re capable, competent and called to more. And you know that what’s next in your business is as much about your inner work as it is about strategy. You’re here reading this because something about us resonates with you. All of our clients tell us they had this sense of deep recognition. A knowing that we are the ones they desire to collaborate with as they unfurl their vision for what’s next. So, we invite you to check in with yourself here. Do you feel that knowing? 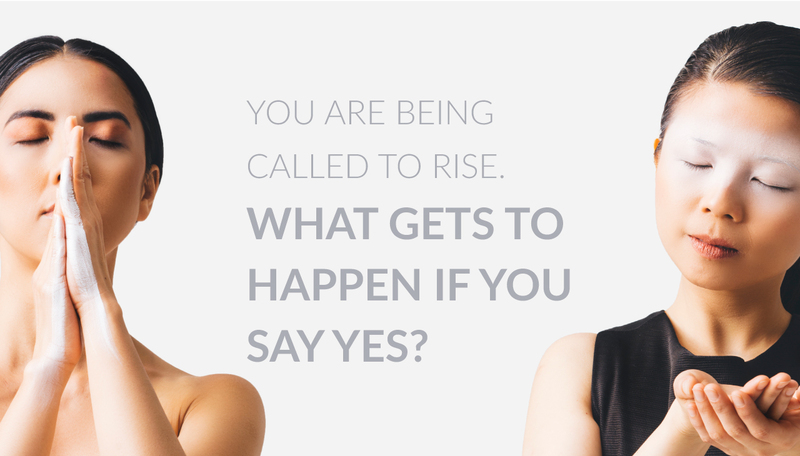 Our VIP Immersion is designed for seasoned entrepreneurs who are already making plenty of impact (and money) and who are called to rise even higher. You already know this is true for you. But what you may not know is how to align your inner world with where you’re going in your business. what to keep, revise, heal, or release. Uncover the story that has been running your business up until this moment and tell yourself a new one that pulls you forward. Meet the soul of your business, your trusted advisor who is always there for you with accurate answers, infinite resources, and rock solid guidance. When we’re finished, we’ll come back up to the level of strategy and action, and translate your soul-level insight into an effective, precise action plan. You’ll walk away from your VIP immersion with the vision and confidence to implement like a soul-powered boss. You’ll know in your bones you are wisely guided, and move forward from a place of power, trust, and knowing. Even better, you’ll know how to ask the soul of your business for guidance on your own, anytime you want it. Most of all, you will emerge with an expanded, more powerful vision of the extraordinary mission you are here to carry out through your business. And you’ll know – and take – the exact steps to make that vision your new reality. 1. Softly click on the button below to be whisked away to the Statement of Intent questionnaire. 2. We’ll review your Statement of Intent within 3 business days and, if we think we can help you, we’ll invite you to schedule a Meet and Greet. 3. We’ll get to know you and your business and you’ll get to ask us any questions you have at your Meet and Greet. At the end of the session, you’ll decide to work with us (or not). This is a seven-hour session and weekend meeting times are available. We’ll meet by videoconference and send you a schedule ahead of time (don’t worry – you’ll have time for walk and meal breaks, and we’ll check in with you during your session to make sure you feel taken care of and supported). At the end of immersion day, we’ll send you an Aftercare Checklist with a list of tools and actions to help you physically, mentally, emotionally and spiritually integrate the experience you’ve just had with us. After that, we’ll prepare and deliver your Aha Report, with key insights, explanations, and meanings from your session. These notes will help you remember the most important things you discovered, plus help you make sense of them and where you go from here. For the next 30 days, the three of us will meet weekly for a half hour phone or video session to support you energetically as you move through the integration process. Clients have used this support to clear, create and hold space for upcoming important meetings or mediations… get intuitive insight on dates, addresses, collaborations and projects... and talk through what’s coming up for them since their immersion. You can expect thoughtful responses on your questions and the issues that naturally arise after undertaking work on this level. Your VIP Immersion wraps up with a Completion Ceremony, where we’ll close with a conversation, meditation, or whatever is needed to celebrate your rise to greatness.